Use our space for your party! Use our space for your party! 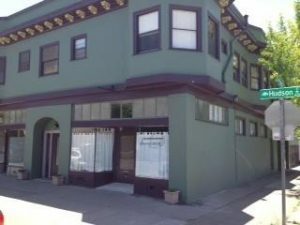 We have two studios (1200 sq. ft.) and (800 sq. ft.) joined by a foyer. For groups up to 15 children. 2 hour party (2-4pm): $350 + $50 cleaning deposit. Thirty to 45 minutes of dance class will be provided by our stellar staff. Also provided are folding chairs and tables. You provide the decorations, the party goods, food and the children. For an additional $75, Danspace provides a special surprise for your child: A visit from a ballerina fully clad in a beautiful white tutu and pointe shoes. 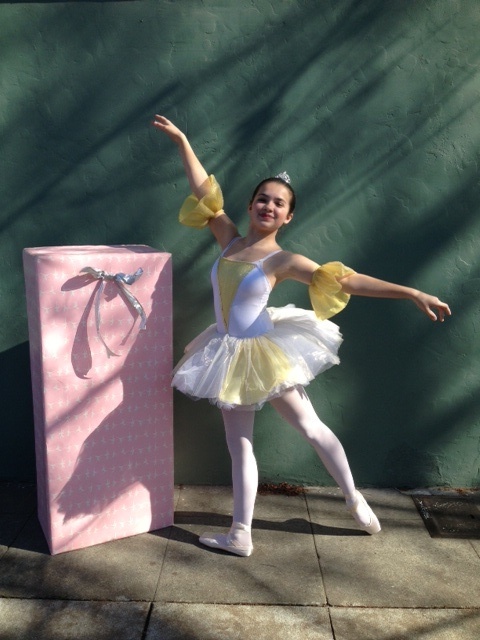 The ballerina will come in a gift box and dance for your ballerina and her friends. Tutus and/or hobbyhorses for your guests to play with at the party are provided for each child with this additional service. Danspace has been teaching dance to very young children since 1976. Call (510) 420-0920 to schedule a party.